The extension on indexed data files may become an issue especially when coming from other legacy COBOL brands. 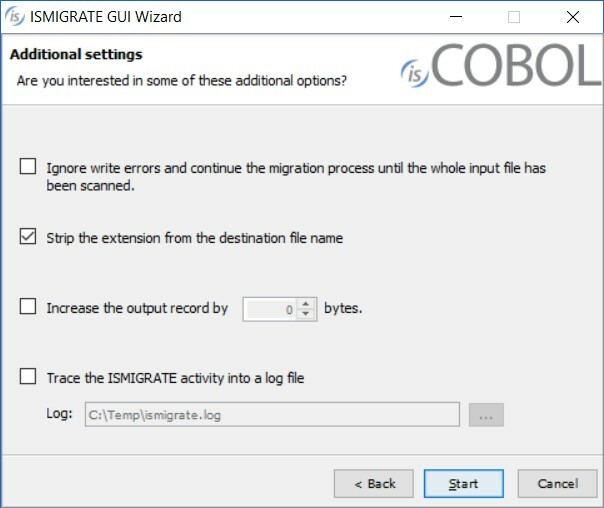 Here we will analyze the different alternatives isCOBOL provides to handle the extension and how it affects several areas of the application during migration, maintenance and deployment time. First: Migrating indexed data files that already contain an extension (.dat for example). Whether the indexed data file comes in a single .dat file or on a dual form of .dat and .index (the .index extension may vary from COBOL to brand to brand) the main case is when the SELECT statement explicitly and static or dynamically defines the physical name with the .dat extension. Second: Create an indexed data file from scratch using Jisam or C-tree directly. In this case it's better to avoid the .dat extension in the physical filename on the select, so Jisam or C-Tree will by default generate the .dat extension for the data file part and the .idx on the index file. Authored by: Veryant Support This question has been viewed 61 times so far.